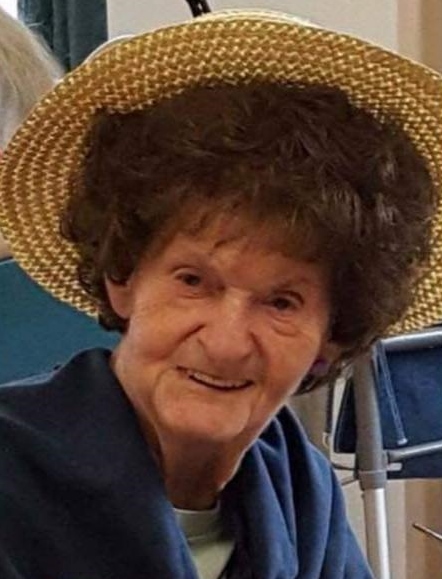 Joyce Ann Jones, 84, of Lawrenceburg, IN, (formerly of Rising Sun) passed away at 12:23 PM, Wednesday, January 16th, 2019 at Shady Nook Care Center. Joyce was born in Gallatin County, KY on March 14, 1934, a daughter of the late Mamie (Branham) and Harvey Lester. She grew up up in Switzerland County along with her 9 brothers and sisters. Joyce married Houston Jones on February 22, 1952 at Oceanside, CA. Houston was enlisted in the US Marine Corps. and was sent to Korea right after they were married. Joyce and Houston were married nearly 55 years until his passing in 2007. Joyce formerly worked at the Canning Factory in Rising Sun and the Whitlock Chair Factory. She worked hard to provide a loving home for her husband and 6 children. Joyce was a member of the Rising Sun First Baptist Church. She was also a member of the Lawrenceburg American Legion Auxiliary Post #239 and a member of the Red Hat Society. Joyce enjoyed gardening and raising flowers. Joyce is survived by three daughters, Bonita Hayes, of Rising Sun, IN; Kimberly Powell and husband Vince, of Willliamstown, KY and Darla Mattsson, of Florence, KY; by grandchildren: Christopher Craft, Bretina Craft, Kurtis Mahan (Allison) & Casie Litke(Brandon); by great grandchildren: Jaxon & Klair Mahan, Brielle Litke, Christopher & Emma Shipley, Robert Gray & JR Thomas; by sister-in-laws, Evelyn Cone, of Rising Sun, IN, Marietta Lester, of Vevay, IN and Nadia Lester, of Universal City, TX. Joyce was preceded in death by her parents, by her husband, Houston, by sons, Ricky Jones in 2014 an Gary Jones in 1970, by a daughter, Ronda Driskell in 2009, by brothers, Wilford, Lawrence, Harold, Leroy, Kenneth, William & Eddie Lester and by sisters, Ethel Mae Bevis & Vera Jean Green.